After a successful year which saw collaborations with some of dance music’s hot commodities including Martin Garrix and Dzeko & Torres as well as his first ever headlining tour, MOTi could be set to raise his profile even further. 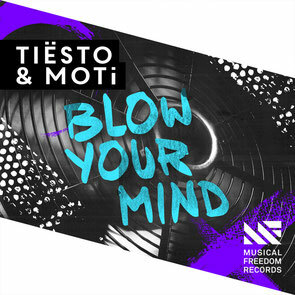 The Dutchman teams up with his mentor and Musical Freedom founder, Tiësto, for the latest single ‘Blow Your Mind’. As a collaboration, ‘Blow Your Mind’ is a potential peak-time, big-room track with electro synths and dizzying breakdowns, and has already garnered support from the likes of Hardwell, David Guetta, Sander van Doorn, W&W plus many others. It’s out now, check the video out below.